You must first measure your mattress according to our instructions to insure you get the correct fit. Our flannels are imported from Portugal, and are woven from 100% Pima Cotton. Flannel is graded by weight per square yard, and our flannel tips the scales at 4.3 oz. Fast Free Shipping - Made in the U.S.A.
Flannel Sheet Set includes 1 top sheet, 1 fitted bottom sheet, 1 pillowcase or 2 pillowcases with full size and larger. High grade 100% Pima Cotton. Flannel fitted Bottom Sheet with 1/2" elastic all the way around, fully enclosed in the hem. High grade 100% Pima Cotton. Flannel Reversible Comforter with same fabric on both sides. High grade 100% Pima Cotton. Ships in 2-3 weeks. Flannel Top Sheet cut generously, fully hemmed (no crimped edges), with a plain 3" hem at the head of the bed. 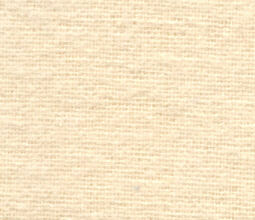 High grade 100% Pima Cotton. Flannel Pillow Cases - Includes one pair. - Body Pillowcase Includes ONE case. Hunter Green Sleep Bag Liners 66" x 90"
This is a good quality flannel intended for warmth and softness. Plush 50/50 Poly-Cotton, Hypo-Allergenic Quilted Mattress Pad - Available in 2" Big Band, Fitted Style. Keeps you warm in the winter, and cool in the summer. Brushed Polyester Quilted Pad - Available in 2" Big Band, Contour Fitted and Fitted Style. Super soft to the touch! Plush Cotton Quilted Mattress Pad - Available in 2" Big Band, Contour Fitted and Fitted Style.